A conservative and a liberal? A Catholic and a Jew? A man and a woman? I did something a little unusual in the kitchen last night. I almost always listen to music while I cook, but I was wanting more weather information than the Amazon Echo “Alexa” was providing, so I turned on the little TV sitting beneath my cookbooks. I was greeted not with a local weather forecast but rather with the news that Supreme Court Justice, Antonin Scalia had passed away while on vacation at age 79. My first thoughts were probably a lot like yours. My mind immediately jumped to how this would affect the balance of power on the Supreme Court and that President Obama would now have an opportunity to appoint another liberal justice. Searching for more information, I surfed up and down the channels until I landed on this rebroadcast on C-Span from April 17, 2014. This program was part of “The Kalb Report” and featured Justices Scalia and Ginsburg. The topic was the First Amendment and the meaning of freedom. Sprinkled between some great conversation on Constitutional law was plenty of friendly banter and discussion concerning the relationship between the two justices. I had heard that the justices were friends, despite being polar opposites on the bench, but did not understand the depth of their friendship and mutual respect they had for each other. They acknowledged that about 80% of the time they were on the same side of an issue in spite of being typecast as staunch liberals and conservatives. I went to bed thinking about this. When I got up this morning, I did a little more research and found this on CNN, Justice Ginsburg mourns the loss of her “best buddy.” The article tells of how their families vacationed together. 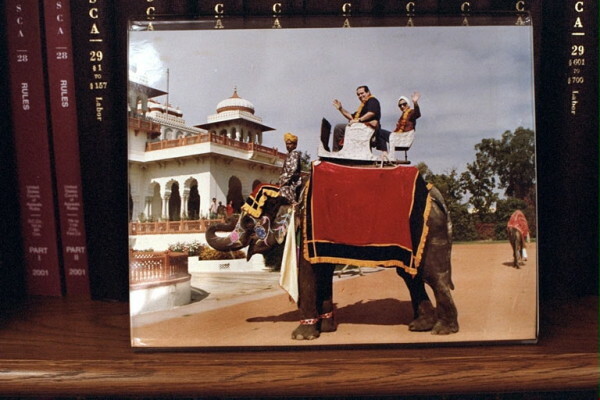 In her chambers, Justice Ginsburg has a picture of them riding an elephant in India. The Justice known for being the pioneer of gender equality, said that she was only sitting behind Scalia to distribute weight more evenly on the elephant. 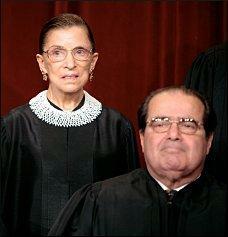 “I love him but sometimes I’d like to strangle him,” Ginsburg said, according to Reuters. I was convicted by this. How many times have I immediately dumped someone into a convenient bucket without hearing anything they have to say or make the effort to understand them outside the context of a particular issue? These buckets usually bear the labels of: liberal, conservative, black, white, young, old, Christian, Muslim, atheist, gay, straight, etc. And it’s not just big buckets. I have perfected this to the extent that I have buckets ready for someone whose only crime is to like top 40 country music or McRib sandwiches. Given the standards established by social media, Justices Scalia and Ginsburg should have hated each other and only communicated by exchanging heated barbs consisting of 144 characters or less. Instead they found a way to have meaningful dialogue and develop a deep respect and a lasting relationship over the course of many years. Twenty-four hours ago if you had shown me the photo of those two Justices at the top of this post and asked me what I saw, I would have answered, “a liberal and a conservative”.